Snowy white winter you want bright colors, and now comes the time for creativity. 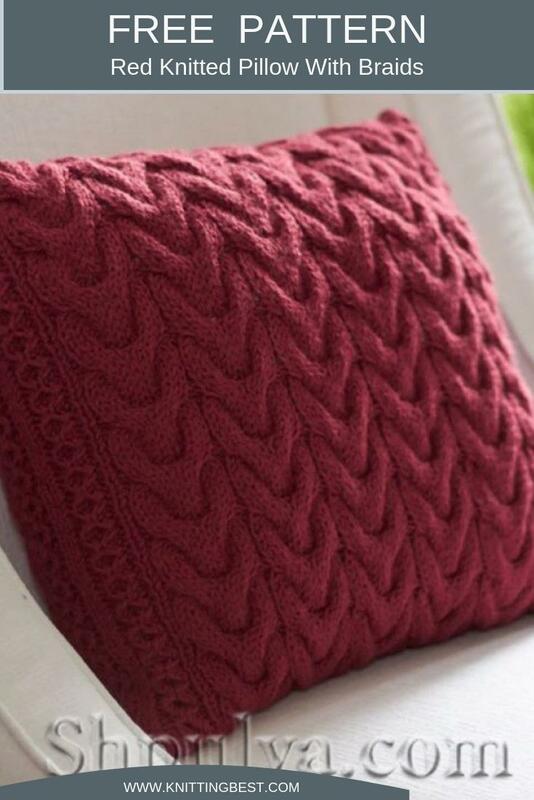 A cozy knitted pillow of juicy cranberry color will be pleasing to the eye and give a memory of summer. 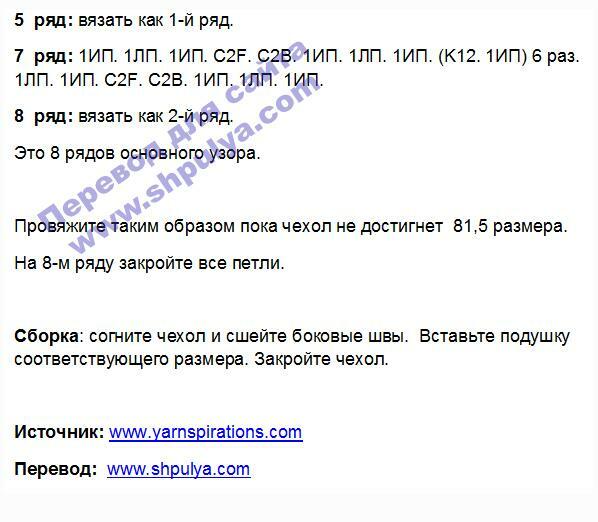 Pillow is tied with a braid pattern.